We always expect medical doctors to treat us with the utmost care when we place our health in their hands. This is even more true when the patients we were talking about are the youngest members of our families, our precious children. Tragically, sometimes the medical care we receive does not rise to the level of our expectations. Even more tragically, this typically means that there are serious implications on the health of our loved one – all at the fault of someone else. When most people hear that the internationally-renowned Johns Hopkins is associated with a hospital, they probably think they can place trust in the facility. However, according to results found in an investigation by the Tampa Bay Times, Johns Hopkins had not, as it promised transformed the heart surgery unit in the St. Petersburg hospital it acquired six years earlier. Instead, the investigation revealed that the children in that unit of the All Children’s Hospital were dying at an astronomical rate of nearly one in 10 last year. This death rate was the highest any Florida pediatric heart program had seen in the last decade. What Were the Problems Revealed By the Investigation? Lack of Disclosure. Some parents were apparently not told about vital information such as the medical health of their own children. The family of one deceased child revealed that they did not find out their child had received a pneumonia diagnosis until they read her autopsy. Surgeon Error. The hospital’s two principal heart surgeons were responsible for the deaths of 11 child patients between them in the span of just a year and a half. Reportedly, all of the surgeons involved in the program made serious mistakes including objects and medical instruments left inside their young patients. Blatant Disregard of Safety Concerns. An example of this is the fact that hospital administrators waited two years after program staff raised concerns to cease allowing performance of complex medical procedures, despite the rising mortality rates that they concurrently failed to reveal to the public. What Recent Announcement Was Made Regarding Changes That May Be Happening in the Future? Based on the Times investigation, there is now a new proposal being considered by a state panel which would require significantly more disclosure to patients in an effort to reduce the number of deaths at Florida children’s heart surgery programs. The Times has reported that the proposal stipulates that statistics would be published online and be updated as often as every six months. As the then-CEO of the hospital repeatedly declined to disclose the 2017 mortality rate to Times reporters, the reasoning for this kind of proposal seems justified. A requirement for published rates would offer greater transparency and most importantly, help avoid future tragedies. Have Your or a Loved One Been Injured as a Result of Medical Negligence? 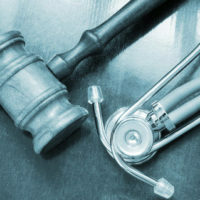 Medical malpractice can lead to tragic circumstances, but you don’t have to suffer a second tragedy by suffering without the compensation you deserve. If you believe that you or a loved one has been injured at the fault of someone else’s medical negligence, contact the experienced Tampa medical malpractice attorneys of The Pendas Law Firm today.